Young children all know the Mother Goose rhyme of the kittens who have lost their mittens, but theyAve never seen it illustrated with so much energy, beauty, and flair. Preschoolers will delight in these cuddly kittens as they frolic outside in the falling leaves, get their whiskers sticky while eating a just-baked apple pie, and do the washing-up under Mama CatAs watchful gaze. 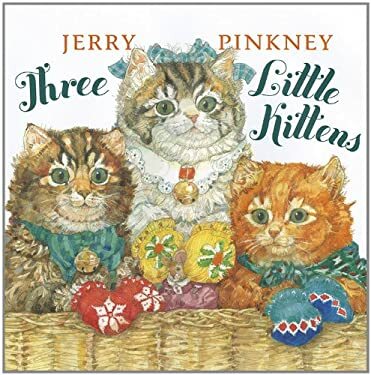 Caldecott MedalAwinning, "New York Times" bestselling author/artist Jerry Pinkney brings a gloriously vivid palette, delightful details and tremendous warmth to his version of this favorite nursery rhyme.